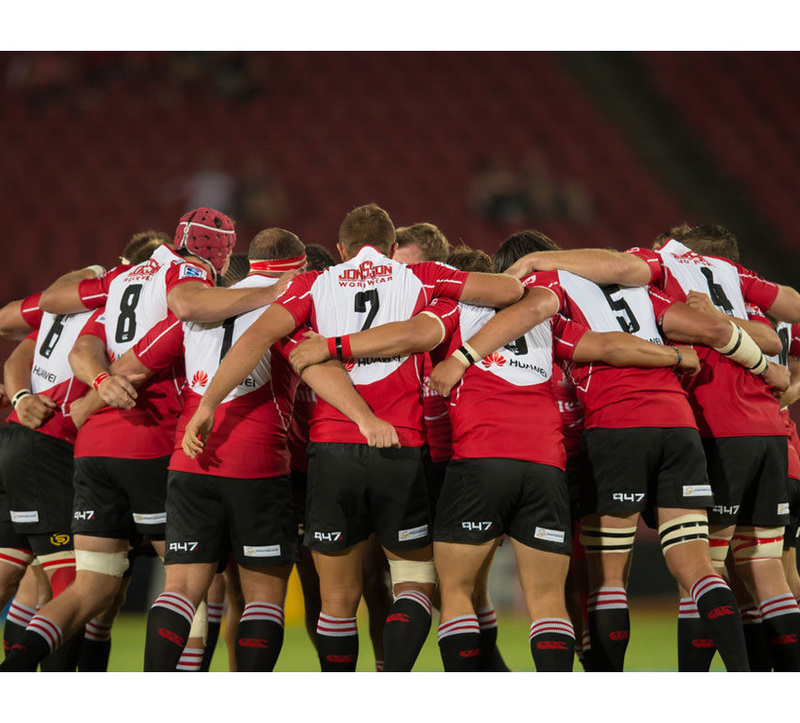 The Emirates Lions will welcome back stalwart, Springbok winger Ruan Combrinck, for their important Vodacom Super Rugby derby against the DHL Stormers on Saturday afternoon in Johannesburg. The game at Emirates Airline Park kicks off at 17h15. The Vodacom Bulls have a bye this weekend, and in the remaining South African Conference game, the Jaguares host the Crusaders in Buenos Aires on Saturday evening. DHL Stormers coach Robbie Fleck said his team will give everything at Emirates Airline Park. Hurricanes: 15 Jordie Barrett, 14 Julian Savea, 13 Vince Aso, 12 Ngani Laumape, 11 Ben Lam, 10 Beauden Barrett, 9 TJ Perenara, 8 Gareth Evans, 7 Sam Henwood, 6 Brad Shields (captain), 5 Sam Lousi, 4 Michael Fatialofa, 3 Jeffery Toomaga-Allen, 2 Ricky Riccitelli, 1 Chris Eves. Replacements: 16 Asafo Aumua, 17 Fraser Armstrong, 18 Ben May, 19 Vaea Fifita, 20 Reed Prinsep, 21 Jamie Booth, 22 Ihaia West, 23 Wes Goosen. Cell C Sharks: 15 Curwin Bosch, 14 Sbu Nkosi, 13 Lukhanyo Am, 12 Andre Esterhuizen, 11 Lwazi Mvovo, 10 Robert du Preez, 9 Louis Schreuder, 8 Tera Mtembu, 7 Jean-Luc du Preez, 6 Philip van der Walt, 5 Stephan Lewies, 4 Ruan Botha (captain), 3 Thomas du Toit, 2 Chiliboy Ralepelle, 1 Beast Mtawarira. Replacements: 16 Franco Marais, 17 Juan Schoeman, 18 John-Hubert Meyer, 19 Hyron Andrews, 20 Tyler Paul, 21 Cameron Wright, 22 Marius Louw, 23 Kobus van Wyk. Emirates Lions: 15 Andries Coetzee, 14 Ruan Combrinck, 13 Lionel Mapoe, 12 Harold Vorster, 11 Madosh Tambwe, 10 Elton Jantjies, 9 Dillon Smit, 8 Hacjivah Dayimani, 7 Cyle Brink, 6 Kwagga Smith, 5 Franco Mostert (captain), 4 Marvin Orie, 3 Ruan Dreyer, 2 Malcolm Marx, 1 Dylan Smith. Replacements: 16 Corne Fourie, 17 Jacques van Rooyen, 18 Johannes Jonker, 19 Lourens Erasmus, 20 Marnus Schoeman, 21 Marco Jansen van Vuuren, 22 Howard Mnisi, 23 Sylvian Mahuza. DHL Stormers: 15 SP Marais, 14 Dillyn Leyds, 13 EW Viljoen, 12 Damian De Allende, 11 Raymond Rhule, 10 Damian Willemse, 9 Jano Vermaak, 8 Nizaam Carr, 7 Pieter-Steph du Toit, 6 Siya Kolisi (captain), 5 Chris van Zyl, 4 Jan de Klerk, 3 Wilco Louw, 2 Ramone Samuels, 1 Steven Kitshoff. Replacements: 16 Scarra Ntubeni, 17 JC Janse van Rensburg, 18 Carlu Sadie, 19 Kobus van Dyk, 20 Sikhumbuzo Notshe, 21 Jaco Coetzee, 22 Paul de Wet, 23 Craig Barry.